Nowadays the need for an easy way to add interactive charts becomes essential because we are shifting from pc applications to web application. jQuery and other libraries allows to make accessible data visualization in (x)HTML, giving us this needed functionality. In this article we are going to present 5 chart libraries that suit different needs from simple charts to high complex charts. Most of them are free for personal and commercial use. Many options — Pick a data cleaner and a painter: fill, bars, bubbles; configurable decimal point (dot or comma); customizable color maps and CSS classes; and more. Lightweight — The plugin takes only 4kB to load. Extensible — Easily create your own cleaners, painters or color maps. Also, a callback is available to perform any operations on a cell before painting. Super flexible, endless possibilities! Check out the demos. Well documented — Check out the live examples and documentation. Compatible Browsers: Chrome 5, FireFox 2, FireFox 3, IE7, IE8, Opera, Safari. 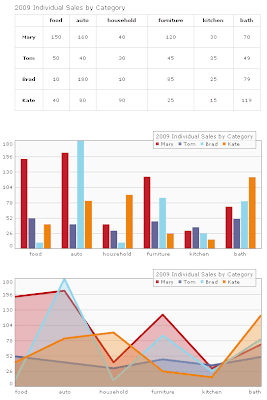 jQuery Visualize Plugin is the perfect plugin if you have a table and want to generate a chart out of it. 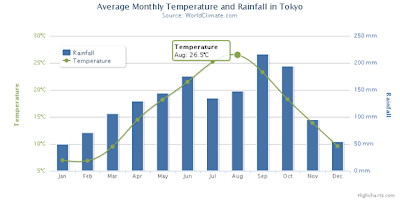 It offers different types of charts such as Bar, Area, Pie & Line charts. Type of Charts: Bar, Area, Pie & Line. Browser Support: IE6*, IE7*, IE8*, Firefox 2, Firefox 3.5, Safari 3 and 4, Opera 9. * HTML 5 canvas element is not supported by IE but Google maintains a library that translates canvas scripting into VML, allowing it to work in all versions of internet explorer. 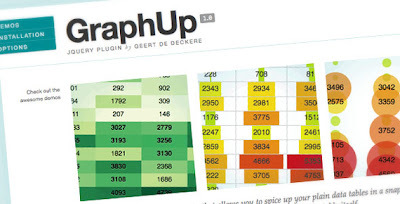 Highcharts is a really impressive jQuery Chart Library. In a few words Highcharts is compatible with most Browsers and even the iPhone; numerous chart types are supported; it is a dynamic plugin because you can add, remove and modify series, axes or points at any time after chart creation and you can load data from external files; tooltip labels are also supported which is great for detailed information in a point of a chart; zooming and last but not least all text labels can be rotated in any angle. Type of Charts: Bar, Area, Areaspline , Pie, Line, Spline, Column & Scatter. Browser Support: IE6, IE7, IE8, Firefox 2, Firefox 3.5, Safari 3 and 4, Opera 9 and iPhone! License: Creative Commons Attribution Non-Commercial 3.0 License. Free for personal website, a school site or a non-profit organization. For a single commercial Website the license costs $80. Type of Charts: Bar, Area, Point & Line. Browser Support: IE6, IE7, IE8, Firefox 2, Firefox 3.5, Safari 3 and 4, Opera 9 and Konqueror 4+. 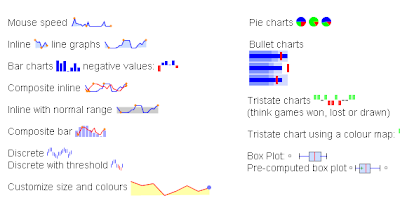 Type of Charts: Bar, Tristate, Bullet, Box Plot & Line. Browser Support: IE6, IE7, IE8, Firefox 2, Firefox 3.5, Safari 3 and 4, Opera 9 and Google Chrome. jqPlot did not catch my eye at first glance but after further research I found it to be one of the best and free jQuery chart library. Numerous graphical options are available you can even add shadows and interact per drag&drop in the charts! 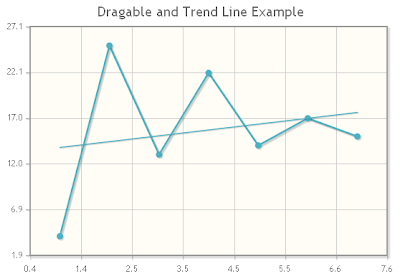 It even automatically computes trend lines. 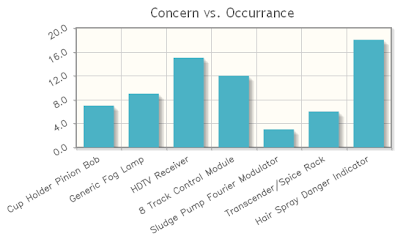 We could compare it to highcharts in terms of features and functionality. Type of Charts: Bar, Pie & Line. As you may have seen from this 5 jQuery chart libraries they suit different needs. 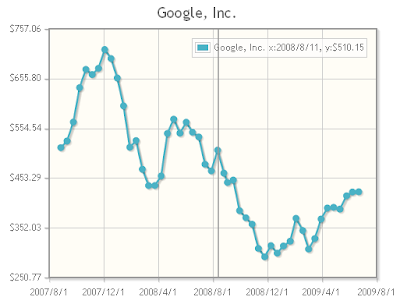 First Sparklines generates a small inline chart which is perfect for charts where the precision is not important. You look at the small chart and you should directly know what happened. 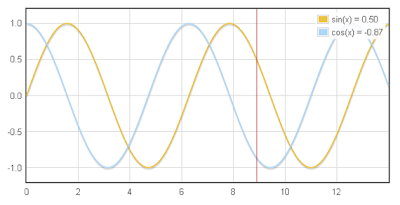 Highcharts, Flot and jqPlot are very powerful jQuery chart libraries. My personal favourites is Highcharts and jqPlot. The visual quality of Highcharts charts are better than jqPlot but the last one is free. I recommend you to test at least one of them and you will see that they are really powerful.